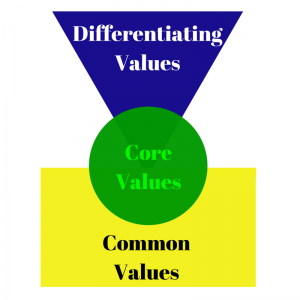 Research on Values – What are your values? Are you viewed as a specialist in a specific field? 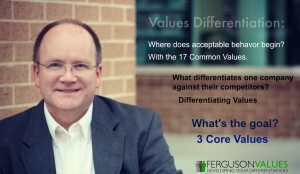 If so, how does the value of specialization reveal itself in your leadership? Specialization means highly skilled in a specific field; making something suitable for a special purpose. 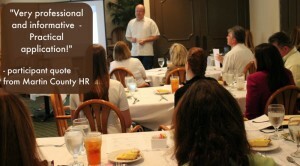 Those in leadership roles often possess skills in specific fields. If you analyze the CEOs of large companies, you’ll find some are highly skilled in finance. Others have proven skills in sales and marketing. A few have very specialized skills, such as in arbitration or mergers and acquisition. In the right context, specialization has great value. If someone is highly skilled in a specific field, it means they are special, and likely viewed as an expert. In the right situation, their expertise is greatly valued. A cardiologist is valued for knowing what to do if someone is diagnosed with heart disease. An international tax accountant is valued for knowing how to help someone who derives income from multiple countries to navigate the various tax laws. A structural engineer is valued for knowing how to build a bridge that’s needed for a highway to cross a river. How specialized can one get? I once read about a global consulting firm that employed someone whose specialty was designing the retractable roof for large stadiums. Imagine, just one person was the ‘retractable roof’ expert who supported stadiums around the world. But… does a person’s specialization help them lead better? Not necessarily. 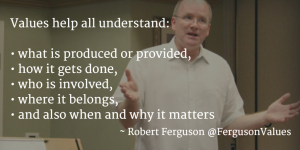 As a leader, do others see you as a generalist or a specialist? Would you say you are more task-oriented or relationship-oriented? With your specific set of skills, what questions can you ask that others don’t know to ask? If you are known to be highly skilled in a specific area, what’s the best way for you to positively influence others with that same skill? The truth is your expertise can be a blessing or a curse when leading others, depending on how you use it. The best leaders know that leading is not about them. It’s about serving others. The reason we need leaders is to fulfill the organization’s mission, which is done by helping others be the best they can be. So, it shouldn’t come as a surprise that some specialists do not make good leaders. Unless they can learn to focus on the needs of others instead of themselves or the tasks at hand, they will not become effective leaders. However, a specialist-turned-leader can become extremely effective if they can apply their problem-solving skills to serving others. When the desire is to truly help someone else for that person’s benefit, without being motivated for personal gain, trust is formed. Then, along with trust comes integrity, respect, and a willingness to work together. This forms the basis for effective teamwork. And it’s through the power of teams that leaders can make a significant impact. 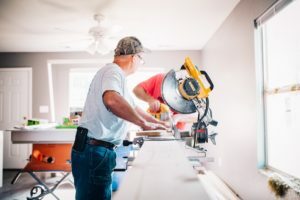 If leadership is about influence, a specialist can best influence others when they prove they can serve others in a way that has nothing to do with their specialization. 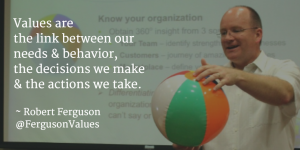 How to define 3 Core Values and Integrate them into your organization? 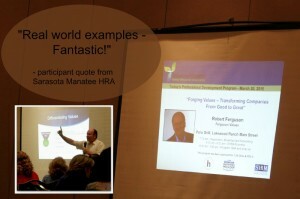 AHRMA Keynote Speaker! 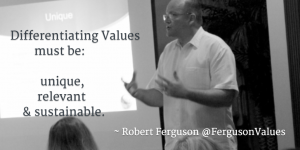 Forging Values with Robert Ferguson!Is Empathy one of them?Learn more Ferguson Values!